I wanted to show you more cards I made this year for family and friends using the Memory Box Pine Tree Border dies. I think because I've always loved jigsaw puzzles, I became quite addicted to these dies. I also wanted to tootle my little horn and share that Laurie Davenport is featuring me today as part of her Trend Watch article at Paper Crafter's Library. She is showcasing the Pine Tree Border cards I posted here on December 12th. I'm very chuffed and thank you very much, Laurie!! So without further achoo, here are several more examples. Some are quite obviously for Christmas, but others are generic enough to be used for birthdays or any other occasion. As you scroll down, you will see that I used a sediment in the upper left-hand corner on a couple of the cards. If you like how that looks, you could use a Happy Birthday sediment, or any other. I just love Versa Tilaty. Enjoy! I apologize for the poor photo quality. The "Winter Inspiration" challenge at Simon Says Stamp Wednesday Challenge, where the photo in the upper left is apropopo. The Addicted to Stamps and More challenge, which is "Anything Goes with an optional twist of 'Love.'" The "Christmas" challenge at CAS on Sunday. The challenge links will provide you with details about rules, sponsors, and prizes. 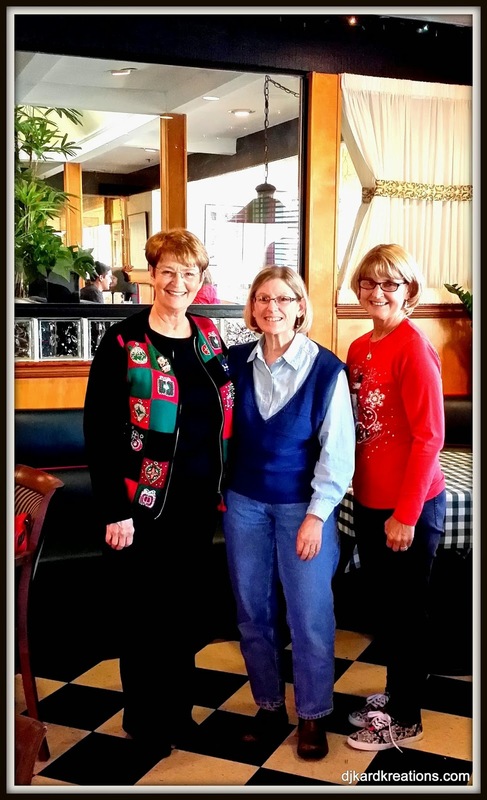 I had a delicious holiday lunch yesterday with my bloggie friends Kim and Harriet! Yes, that's right, I have a holiday sweater and I'll bet you're not the least bit surprised. I'd love to see your holiday sweater or sweatshirt! Kim is modeling an adorable shy snowman and Harriet is representin' for team Hanukkah! For those of you traveling on the highways, bivalves, and jetways, be safe! God speed and may the sun shine on your arrival. Relatively speaking when you're speaking to your relatives, be nice! I love that border die and was sorely tempted when I saw it on offer in our craft shop last week. If its still there when I go back in the new year I might well indulge after seeing these fab cards! I laughed so hard to see that you have the same holiday sweater as my mom! How fun to meet up with Harriet and Kim again! Great job showing all the many uses of this tree die - love the copper/gold one! Merry Christmas, my friend! Love the cards. It's great to see the variations. Wowzers! These cards are all sooooo amazing! It's so cool to see how the different colors, patterns, etc. change the effect of the card! The two versions of Peace, Love & Joy are stunning! Love the variety of looks you got out of this die. It's it fun to see how different papers change everything? Congratulations! That is awesome as are your pine border cards. I really like how you can make so many variations of the border design. Amazing cards Darnell...and even though you used the same over the top fabulous tree die, they are so beautiful and so different too. You are amazing my sweet friend and it was so much fun to meet up with you and Harriet for lunch, always a wonderful treat. Merry Christmas! 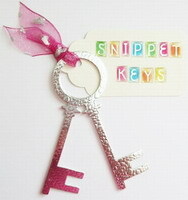 These are fabulous Darnell, love all the different styles and colours, classy makes from a simple die. A whole pine forest all to yourself. I have loved wending my way through it. Well done on being show cased too. hugs Mrs A. Happy Christmas. I'm loving the entire pine forest. It's great to see so many variations on the same theme, but I think the last two are my favourites. Merry Christmas to you and yours, Darnell. Great cards, Darnell! You were busy! I'm not sure I'd have the patience for all those pieces -- you obviously do! Have a merry Christmas. Hope it's all good! First let me say congrats on the shout out. Next I love these cards. 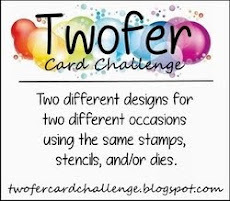 I have pondered getting this die, makes the card so simple but eye catching. Love your christmas jumper but as you know its summer over here and so hot I'm lucky to haveany clothes on at all (well actually everyone else is lucky I have clothes on cause it could really scare a few people seeing me in the nuddles). Its Christmas Eve here and we are off to see some of my grandkids soon and Elysha is so exciting about Santa coming (I love that she will always anticipate christmas with such abandon). She may be 22 but with her disability she will always be around 6 years old (mind you she has an adult sense of humor). Enough yabber, enjoy your Christmas and I look forward to lots of cas in the NewYear. Love to you and your family from Oz. Wow Darnell! What a fabulous set of cards from one die, all so colourful and different. This die is definitely near the top of my wish list now. I loved the first card you showed with this die Darnell, and this selection makes me think it should go on my ever expanding wish list. Glad you had a lovely lunch with the girls and I hope you have a wonderful Christmas. If you keep on posting more fabulous cards using those pine border dies I will definitely have to put them on my wish list... I have been close already and your post is about to push me over the edge... You enabler! Couldn't even pick a favorite, they are all so different and beautiful! Congrats on being featured over at the Papercrafterslibrary! Amazing cards Darnell. You've showcased that die perfectly. You look fabulous in your sweater and so much fun that you ladies could do lunch. Have a blessed Christmas. Have a wonderful and happy celebration! Merry Christmas my friend - have a wonderful family time! They are gorgeous Missy Darnell! I just wanted to pop around to wish you and the Mistah a very Merry and Happy Christmas. I love these cards and am proud that I have been the honored recipient of one from the earlier post. It's good you like jigsaw puzzles, Darnell, because those are tiny pieces in that die. So glad you got a chance to lunch with Kim and Harriet. Dearest Darnell what a wonderful surprise I had this morning when the postman gave me a lovely envelope from across the sea. When I opened it there was one of your delightful cards. Thank you so much from both of us. May we wish you and your family a happy Christmas and a peaceful 2015. What a wonderful bunch of cards showing the versatility of that die (that I now need to add to my wish list)! Merry Christmas to you!! Woot! That beautiful card is so deserving of the shout out! And they get better and better! You're making me think seriously about getting this die now. The list just grows and grows! Thanks for the inspiration and have a wonderful Christmas! Merry, Merry Christmas my friend!!! And I can't wait to see what you come up with for 2015!! Hoot! Hoot! Congrats being featured! These cards are just fabulous!!! Looks like you entered a Chinese sweat shop ;) - great cards! One day I want tojoin you little stamping get toghter and lunch group....such lovely Ladies! Merry Christmas to you, your family and of course Hammy! Wow! All of your cards are just beautiful!! Such wonderful designs!! I love what you've done with that tree die Darnell - every card is awesome - or in your words "a winner"! Great set of cards, Darnell! My favorites are the last 3 - I like the lovely "sediment: in the corner and the dsp in the layered one. Congrats on being featured!! It's good to toot your horn sometimes! Christmas blessings to you and your family! Love the cards, Dar! Had to drop in to see what a "horn tootle" was..... :) Sending warm Christmas wishes and hugs to you and yours! Gorgeous cards, Darnell! I love how you showcased this die in so many beautiful ways....and of course your lovely CAS design is perfect! And...CONGRATS on your well deserved feature at PCL! Way to go! Thanks for sharing a photo of you with Kim and Harriet...you girls look so festive! Merry Christmas to you and the Mister! Well, what a feast for the eyes Darnell, your cards are all stunning and well done on being featured too! Woohoo! Not surprised though because your cards are always so beautiful. I just read on Ardyths comment that you have the same sweater as her Mum, how funny is that??!!! You've made me fall in love with this die and I must have it!! I love all the different colours and papers you used and it looks so different every time. Glad to see you had a lovely lunch with 'the girls' and how nice that you dressed for the Xmas occasion! Its nearly midnight here. I'm waiting for the kids to finally go into a deep sleep so I can start laying out the lolly trail to the tree (which is hard with the dog watching.....) and bring the presents in. Very hot here still so they are finding it hard to sleep. Hope I won't be up too late as it will be an early start in the morning..... Merry Christmas my dear friend. I hope you have a wonderful day with your family and here's to a safe and happy 2015! Just tree-rific, D... happy, happy, joy, joy to you and the world! Love your Cristmas picture with the girls! Your eyes look great! Love,love,love the tree Cristmas cards! I like theme lay dies as well. Merry Christmas Darnell! 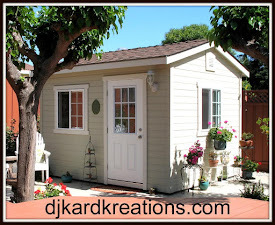 Sorry, I forgot to say congratulations on being spotlighted at Paper Crafter's Library! Absolutely wonderful selection of cards using that great die. Sending you Happy Christmas wishes across the miles Darnell. May 2015 bring you everything you wish for. I am happy to be the owner of one of these beautiful creations! Love those intricate die cut trees, so gorgeous. Coincidentally I've shared some cards from friends on my post today and your card is on it. A very Merry Christmas to you, Darnell! Hugs! Ooooh, these are all awesome and so pretty!!! Thanks for joining us at CAS on Sunday! ;) Have a Merry Christmas! Looks like you had really a lot of fun making these not that easy-cards! They look great! Your cards are just terrific. I love how the same design can look so very different just by changing the papers. Wishing you a very Merry Christmas. Love these inlaid/letterpress trees, Darnell, in every color and design!! I wanted to pop over and wish you and your's a very Merry Christmas! Thanks for giving me smiles in 2014 and I look forward to what you will bring in 2015! 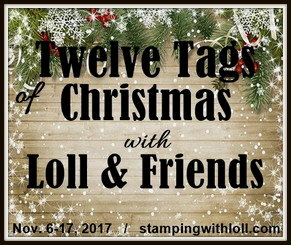 ps - so fun the get togethers you have with fellow stampers! Awesome cards and looks like y'all had a blast!! Merry Christmas!! Merry Christmas, Darnell! My, but those trees were worth repeating. Each one is gorgeous, and so are you, Harriet, and Kim in your festive finest! A veritable smoorgasbord of trees. So many different looks and all fab. Love the cardigan. They tried to make me wear a festive hat at work today but I was having none of it. Hope you and the family have a wonderful Christmas Mrs K.
Holy cow, Darnell. You must have read my mind when I was thinking of pulling this die out for a card. What a boatload of inspiration, I don't know where to start. The merriest of Christmases to you and yours! XOXO from Southern California. All of these tree cards are great. I love all the different looks you can get with one die. The copper and gold paper is my fav. It's so elegant. Great picture of the three of you and how fun that you get together. Nothing wrong with a good Christmas sweater. Ok, so now I "have" to have that die--LOL! These are just wonderful, Darnell--love every version! As I told Kim, wish I was a bit closer & could invite myself to your lunches with blogging friends! Small variations sure can make big differences as you've shown us here. Very inspirational! Those are all fabulous, I like seeing one die or stamp used a few ways, you really amazed me here, they are all so beautiful! Every one of those is fantastic! Hope you and yours had a wonderful holiday! All the cards are wonderful, but the second one with an angled corner just drives me crazy! It's just a pure perfection! Wonderful cards Darnell. Love the different colors with the pretty tree die-set. Enjoy the rest of your holiday. Love them all Darnell, especilly those with the same pp on the border as in the trees, a very nice look! Nice job on them all and congrats for being featured!!!! So coool!! Very inspiring use of just one die! Thanks! Thanks for sharing these...I have this die and you have given me some great ideas here. Having made six of those cards I know how fiddly they are! Some wonderful ideas here Darnell!